The price of Bitcoin has dipped twice this week interrupting the recent upward surge (once a few days ago and once today). Because my own holdings and cash flow are not large enough to merit doing the homework, I haven't taken the time to forecast these dips in advance. They would have been easy to predict, however. 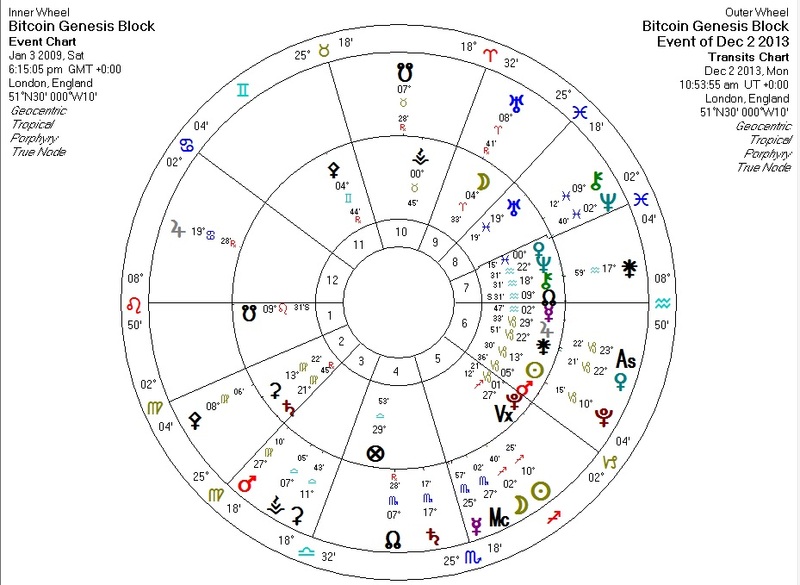 Neptune has been conjunct the Bitcoin Venus for a few months now, courtesy of a recent station. The presence of Neptune alone is not enough to counteract the Pluto and North Node factors (described in previous posts) which correspond to this season's wild upward movement. When a faster-moving planet, however, forms an aspect with Neptune... Neptune is temporarily able to overcome the more powerful factors and make himself known against Venus. When this happens, we see a dip in the price. Transits for the first price dip this week: note Mercury-Sun-Moon midpoint/conjunction picture, all square transiting Neptune. Transits for today's dip: Mercury square transiting Neptune. This one has the possibility of lasting longer than the usual day or so, because of a factor not pictured here. 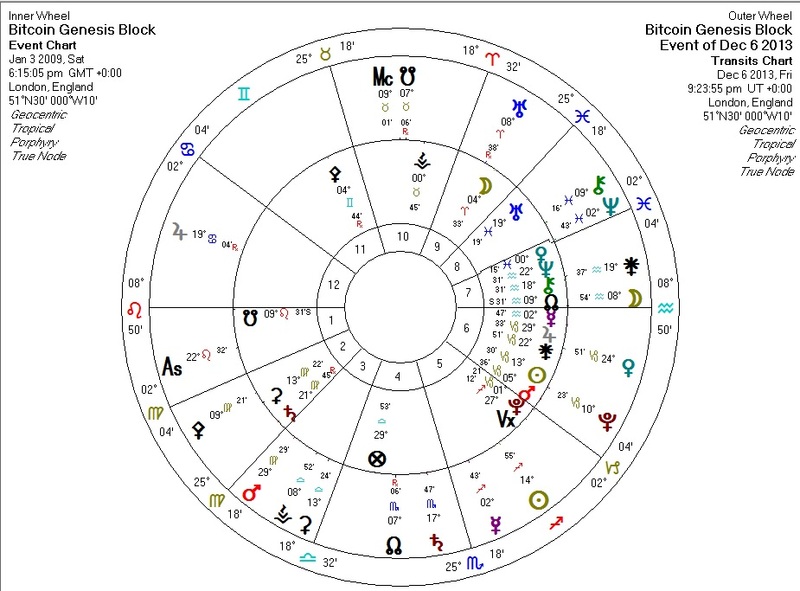 Transiting Saturn is squaring the Mars on the first solar return of the Bitcoin chart -- co-ruling the Second House on that chart. The transit has not perfected yet, and will not do so for nearly a week. This triggering of Neptune has occurred before in the past few months. With Neptune slowly gaining distance from Bitcoin's Venus, this method of predicting short price drops will stop working quite so well until it fails altogether. By then, Pluto will be in full force against Bitcoin's chart and I expect some truly extreme price movement.